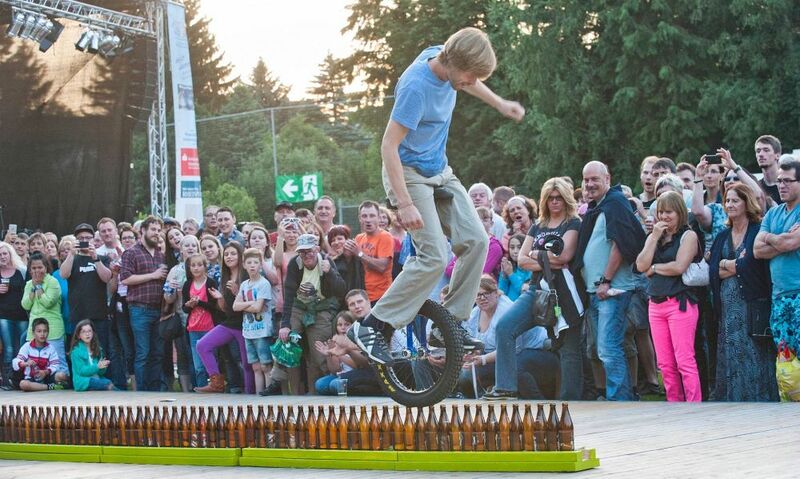 Lutz has presented his Extreme-Unicyling-Show on different occasions for many years. 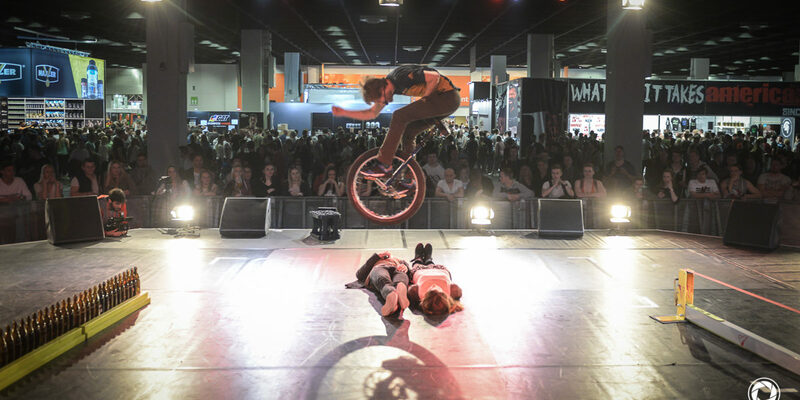 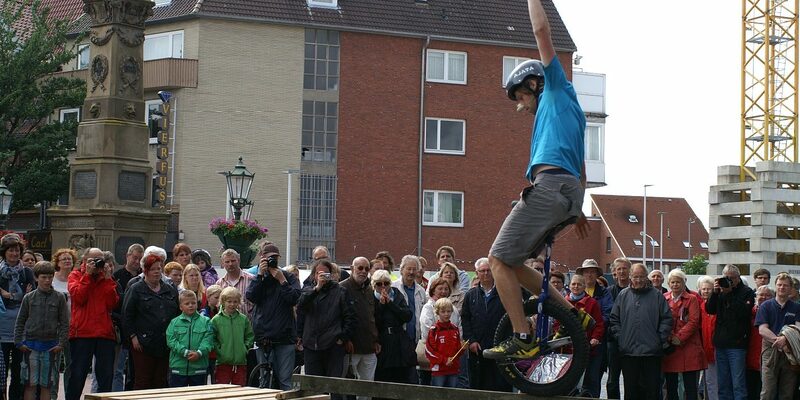 several shows a day, for promotion campaigns, for unicycle-workshops, etc. 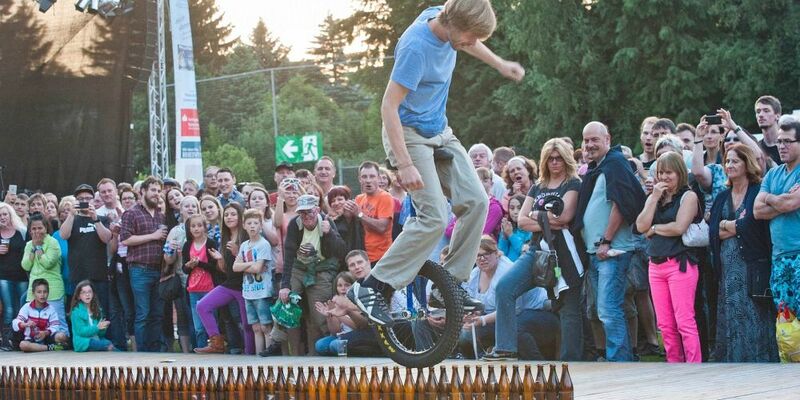 Lutz’ program can be customized and individualized according to your wishes and needs. 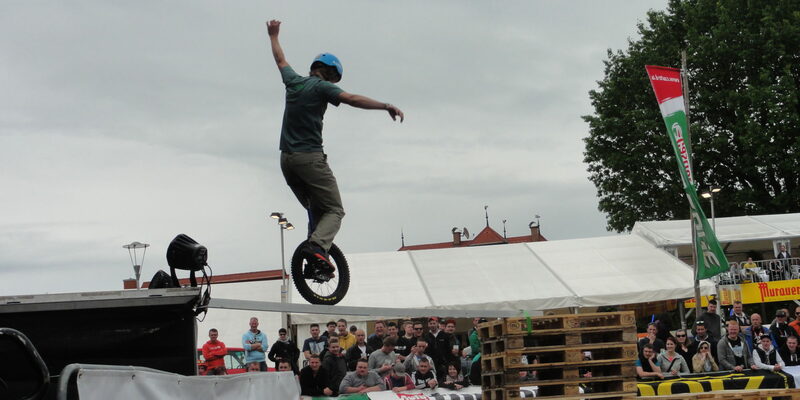 In his shows, Lutz usually presents exciting and intoxicating jumps and other acts which you would never have imagined ‘on one wheel’.